The capital of Tamil Nadu certainly has citizens who love a good dose of entertainment, retail and leisure. The number of malls sprawling through the city prove just that! The Chennai Citi Center is a mall that is home to a leading film and entertainment venture, along with others including fine dining restaurants. 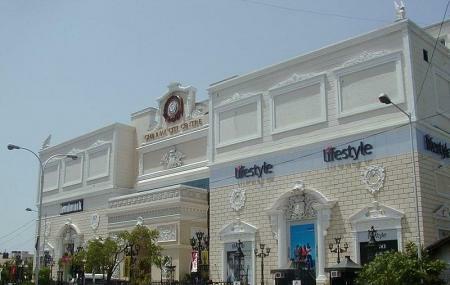 It is considered to be one of the most expensive shopping malls in Chennai. The mall lies within close proximity to other popular Chennai attractions like Marina Beach, Santhome Basilica church and the Kapaleeswarar temple; perfect for some leisure and entertainment after all the sightseeing or vice versa! How popular is Chennai Citi Center? People normally club together Ashtalakshmi Temple and Sri Parthasarathy Swamy Temple while planning their visit to Chennai Citi Center.